“Some of you may know that once I found out I was pregnant I opted to give birth at a birthing center in Rhinebeck. I finally was able to switch providers at about 24 weeks and started the long journey taking the Amtrak with all my prenatal appointments. I did not regret my decision one bit as each interaction was amazing, the providers in the practice were really attentive and allowed you to really get a sense of ownership in your pregnancy. This practice has about 5-6 midwives and 3 OBs so I really learned to love them all. I had interviewed one doula in the area and after much consideration I decided not to move forward as I felt like I had a bit more experience than her in terms of breastfeeding in which we decided Peter would be my main support person. I bought Peter a copy of the Birth Partner and had him reading away, learning all about the birth process. Tuesday March 5 I had an early ultrasound to check fluid levels and fetal movement—all was well! I went back home and decided to take a nap since I was so exhausted. I woke up to list of text messages and missed calls. One from my OB and Peter both urgently requesting me to contact her. She sent me a message from her personal cell so I called her right away and she asked me how I was feeling. Again, not really feeling any symptoms and she said that my blood panel showed insane kidney and liver function levels indicating that overnight my gestational hypertension had developed into the most severe form of preeclampsia, known as HELLP Syndrome. 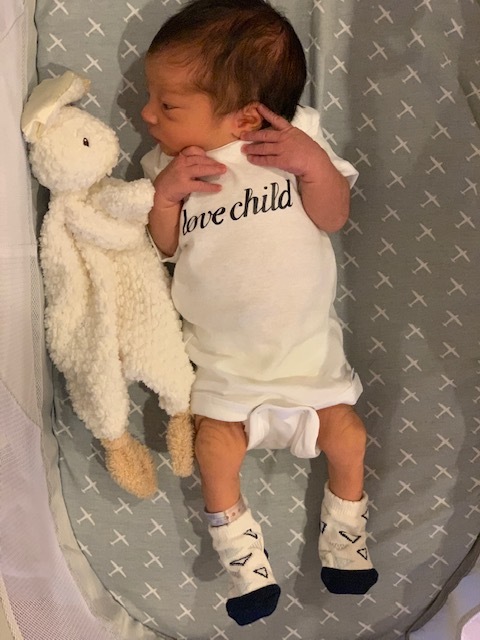 I kissed my birth center dreams goodbye as she said I needed to go to Vassar right away, the other local medical center with NICU capabilities. I was devastated but listened as she told me she had consulted with the Head of Maternal Fetal Medicine as well as the on call OB at that location who thought that the transition would be best. Luckily, I had met both individuals and trusted the decision. I finally spoke to Peter and let him know I was going to drive there; the car was already packed with all of our things and it was only 10 minutes away. He thought I was insane, but I didn't care so I parked the car in the lot, walked into the hospital and into labor and delivery. I completely skipped triage. The entire staff on-hand already knew I was on my way and I was checked into a room. This was around 12.30pm. Peter left the city and was on the train back upstate. It was a lot of waiting and they wouldn't let me eat, as the nurse hinted that if I needed a C-section then I needed to make sure I wasn't full of food. The ongoing frustration continued as I waited to see the OB and the Head of Maternal Fetal Medicine for the verdict. Peter arrived around 3pm and the doctors came in around 4.30pm. They said that really there were only two choices: an automatic C-section due to the severity of my lab results OR an induction could be possible, but only in timeframe of 6-8 hours, which could then lead to a C-section if things didn’t progress. I was devastated but also determined. I knew my body was already showing signs of labor so I wanted to at least try the induction. They checked my cervix and I was dilating close to 2cm so they allowed for the induction by Pitocin alongside a constant flow of magnesium and a catheter. This started at about 6pm, and so the clock began ticking. I started to feel contractions and they weren’t that bad…I could breathe through them. I was worried as I didn’t have much to eat that I really needed to sustain my energy so I wasn’t making any large movements and mostly stayed leaning towards the left side while Peter fed me ice chips. Then around 7.30pm I progressed to 4cm, and they were happy with progress. The contractions started to get closer together and more intense. I just kept looking at the clock knowing I needed to keep focused. I never thought about any pain management previous to this and decided I’d just see how far I could get without an epidural. About 9.30pm the nurse checked me again and I was at 9cm. They asked if I wanted an epidural and I said I didn’t think so. At that point they called a nurse to change the bed and the OB—we were having a baby. The contractions were so severe that I feel my entire pelvis shake and it seemed like they were a minute apart but I don’t think we were really keeping track and I was barely making any guttural noises. The nurse was amazing—coaching me to bring the baby down so I wouldn’t need to push for that long. Then suddenly it seemed like 10 people flooded the room, one woman said she was going to catch the baby and everyone was so excited. I was still so focused and could barely move unassisted. I was then turned onto my back to hold my legs up and instructed to push. Then they said they saw the head, asked me if I wanted to touch the head and I said no because I just wanted it to be over. A few minutes later the baby’s hand came out first then the head and was placed on my chest, barely crying. Peter was able to cut the cord! I had a sneaky episiotomy and couldn’t keep my placenta which I released at that moment due to the preeclampsia.